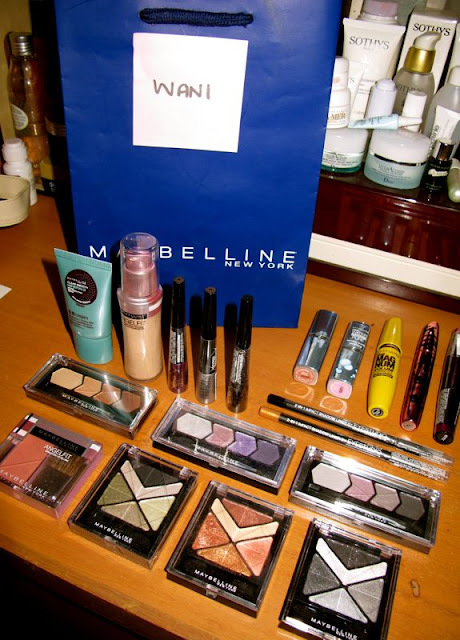 Shazwani Hamid's Blog: Gotta Love Drugstore Make-Up! Anyways, I received some of Maybelline products on that day. And to be honest, I have never buy any make up from a drugstore brand except for one thing and only one thinggggg...which is: mascara. That is all I buy and use from a drugstore brand! Seriously. (Unless of course, people give me or something.. But to buy them myself.. Hmm..I just won't! haha) I don't know why...I'm just not so open to try those other make up stuff.. It's not about the value (you know like "I-only-buy-high-end-products") or anything.. It just never occur to my mind to try drugstore brands..
Like foundation, I already hooked on Chanel. And then powder, I only use white loose powder a.k.a baby powder, and lipstick/lipglaze and eye shadows: Stila... and so on.. So here are the things that I got on that day.. I LOVE MAYBELLINE'S PRODUCT SO MUCH! Well..this video is on Facebook, on Maybelline NY Simply Fabulous page. So here's some of the snapshots from the video.. 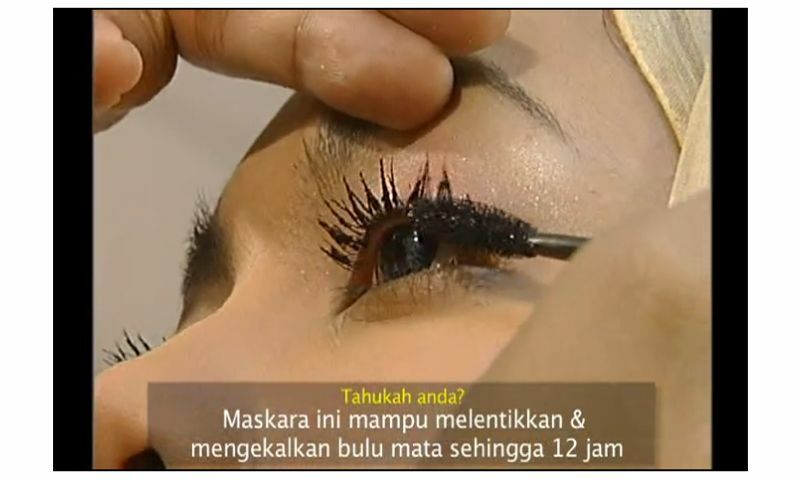 I want super long eye lashes, pleaseee! Tiar used some technique to wear mascara on me..
And put about 2-3 coatings..until it is long enough..
Yup, true. Mascara tak payah spend beli mahal2. Membazir je. And yes, drug store brand pun ada yg bagus. Cuma maybe diorg mekap kn u lain sikit kot..
nk: really? i thot its so simple. hehe. But i love the color! 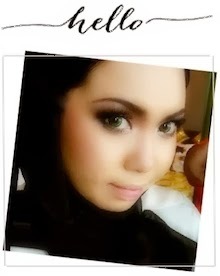 wani, your contact lens is super cantik! it looks nice on you! RSS Feeds in iTalk Whoa!